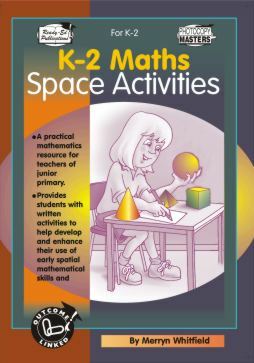 This books is designed to enhance the use of concrete materials within the classroom while exploring the mathematical concepts of regular and irregular shapes and objects; space, line and symmetry; location, direction and position. Students will be involved in manipulating, classifying and describing 2D shapes and familiar 3D objects. Each activity page contains a ´ ´Think About It ´ ´ box as a finishing challenge that promotes the use of varied strategies and cooperative learning, catering for a range of student abilities. A skills checklist has been included.